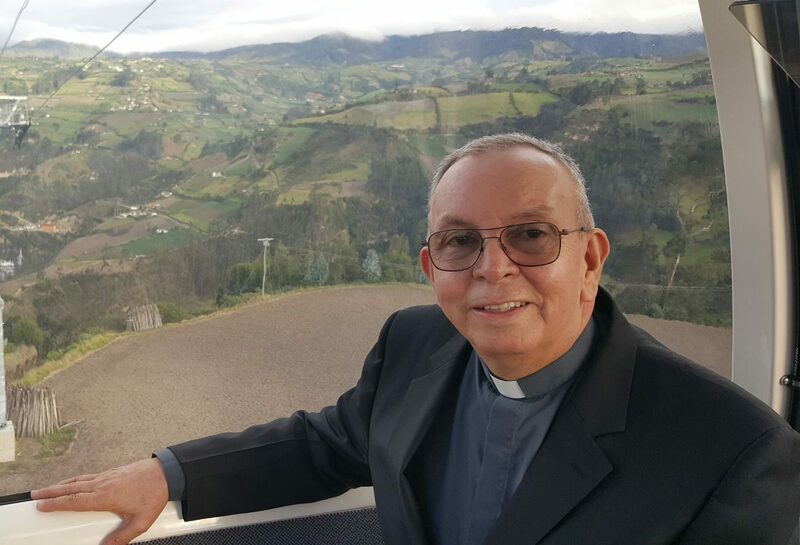 NEW YORK (CNS) — No sector of society can unite Colombia single-handedly after a half-century of war, but the Catholic church’s painstaking local reconciliation effort is a significant step to address the complex situation, Msgr. Hector Fabio Henao said. Msgr. Henao, director of Caritas Colombia, spoke Jan. 24 at the Church Center for the United Nations in New York. After 52 years of armed conflict in Colombia, government and rebel leaders reached a peace accord in late 2016 that put an official end to a war that claimed more than 200,000 lives and displaced almost 7 million people. The deal was reached after four years of peace talks in Havana. The Colombian congress approved the accord Nov. 30 after an earlier version narrowly lost approval by a popular vote. Nonetheless, the largest part of the Revolutionary Armed Forces of Colombia rebel group, known as FARC, is committed to the agreement and will pursue the peace process, Msgr. Henao said. People have hope for the future and see this as a big opportunity for peace and a unique moment in the history of Colombia, he said. There are lingering questions about security, especially for human rights workers and people involved in the peace process, Msgr. Henao said. More than 70 social leaders, land rights activists, indigenous leaders and human rights defenders were murdered in 2016. The Caritas director also said there is a gap between the legal rights accorded to internally displaced people and their practical experience seeking full inclusion in society. Msgr. Henao said more opportunity must be created for people to participate in their democracy. Caritas Colombia has a program to strengthen grass-roots participation in the democratic process, he said. It also works with local communities and internally displaced persons, protects victims of the conflict and supports human rights. The Catholic bishops of Colombia have used the church’s influence in the country to focus on reconciliation and the values and principles that underlie it. They developed and distributed a pastoral letter that reflected experiences from different regions of the country. They determined the church would accept the challenge to confront hatred at the local level, raise awareness and work for reconciliation, Msgr. Henao said. The effort includes a combination of reflection, action and prayer. Msgr. Henao said the church listens carefully, accompanies people, gives an opportunity for all to speak and share their positions, and opens the door to reconciliation, without pushing. “Reconciliation is the gift of the Holy Spirit. We’re not the protagonists of reconciliation; we are just the agents and workers. We are not able to reconcile. God does that,” Msgr. Henao said. The church has encouraged priests to preach and speak about reconciliation and issued a national prayer for reconciliation that has been recited at all Masses since July 2015. Parishes are also inviting people to participate in the sacrament of reconciliation. In families divided by the war, Msgr. Henao said reconciliation helps members accept their differences and see the human dignity of each person and that they are all children of God, apart from the political decisions they make. Msgr. Henao represents the Colombian Bishops’ Conference on the National Council for Peace and has accompanied war victims to testify during the peace process in Havana. He said his role is to support and encourage people, help them build proposals for peace, and work with victims on concrete solutions. The peace process includes forgiveness, he said. “Forgiveness is a position in favor of the victim, in favor of peace. It’s an opportunity to be free to rebuild a personal plan for life and contribute to another society,” he explained. Msgr. Henao said people misunderstand forgiveness and think it means to forget or forgo justice and live as if nothing happened. On the contrary, forgiveness encourages proactive memory and enables people to build a new society and prevent atrocities people suffered in the past. “It’s a powerful process for the transformation of society. It means you decide to recover your dignity, and give the perpetrators the opportunity to recover theirs and open the door for them to make changes,” he said. He is hopeful Pope Francis will visit Colombia in 2017. “His visit would encourage a lot of the population to go ahead with the reconciliation process. He’s the pastor and has a very concrete pastoral mission. His commitment in favor of victims is very clear,” he said.